ASA affiliate school owners or managers may post sailing instructor want ads for no cost by logging in to their affiliate account and clicking on the Post a Job link. Verify school contact information and enter job details such as course levels required and whether the position is full or part-time. This free affiliate benefit is easily searchable by ASA’s certified instructors, and provides an easy, targeted approach for sailing schools to connect with them. We are looking for a sailing Captain to start with us for our very busy charter operation with great pay and tips in a great location. Contact Capt. Mark with your info. We are looking for ASA certified instructors this summer to teach classes out of our marina on Broad Creek in Deltaville. Call me if interested! Looking for part-time, on-demand instructors to teach weekly ASA 101 courses as they fill. There are additional opportunities for 103 and 104 courses as demand allows. Instructors will know a week out whether any scheduled course will run. Looking for a 208 certified instructor for a pacific crossing aboard a 50 foot race boat in July. 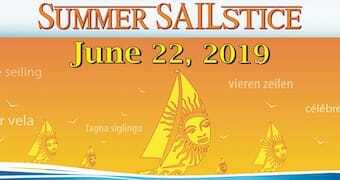 Lake Norman Community Sailing, located 20 minutes north of Charlotte NC, is currently seeking Basic Keelboat course (ASA 101) sailing instructors for the 2019 season. The position includes teaching classroom and on-the-water sessions to adult students. Typical workload will be teaching the 2-day course on two weekends per month. This is a part-time contract position (1099). ASA 201 certification is required. ASA certification at the 203 level and Coast Guard License a plus. This is part of our ASA program including ASA 103, 104 and 105 classes, and educational sailing charters on Chesapeake Bay and the BVIs. If you have the qualifications send your resume to: Sean ODonnell, Center Director, sean.odonnell@LNSailing.org. View our sailing program offerings at LNSailing.org. We have a block of three 6 days schools available and possibly more. We are looking for part-time instructors to teach adult only 101, 103, 104, and 118 classes on the beautiful Columbia River. Sailing season is March-October and we have multiple classes each weekend and some on Thursday/Friday. Our fleet of late model Beneteaus sets us apart from the competition. We will be hosting an Instructor Qualification Course May 29th-June 2nd for those in need of certification. Intelligent Sailing is a local and privately-owned school with a focus on monohulls and one-on-one instruction. We are in search of a motivated, self-starting, and upbeat instructor that can integrate and become part of the Intelligent Sailing family. Our focus is on one-on-one instruction and the flexibility to teach and accommodate a wide range of students and their abilities. Our ideal instructor will be able to get on one of our boats, maintain a professional and positive attitude, accommodate students' needs, and will behave with the upmost discretion when encountering potential issues on the boat -- the point is to keep the students happy, and inform us of any potential issues on the boats that we may need to address prior to the next course. "It's always a sunny day" - even if you encounter an issue on-board, the point is to keep the student happy and the situation under control, with discretion. A positive attitude and extensive sailing experience is key, and we can make sure everyone has a wonderful experience. Work is steady, but can have lulls depending on the season. Please contact us with your resume and a short paragraph explaining why you think you would be a good fit for the position. We operate a ten-week Scouts BSA summer camp on Catalina Island, specialized in outdoor education, marine science, ecology and sustainability, and ethics and leadership. As our programs age and mature, we have connected with professional organizations like PADI Divers, American Red Cross Lifeguard, and ASA to enhance the level of education and expertise delivered to our campers. Scouts and leaders can sign up for ASA 110 or ASA 101 as well as our Small Boat Sailing Merit Badge course. The Sailing Director will oversee the four other ASA instructors, maintenance and ordering of parts, and program needs, as well as administration and instruction for the courses. Please email linnea.heinstedt@scouting.org for more details. Thank you and happy sailing! Hiring ASA 101-103 Certified Instructors and Youth Summer Camp leaders with outdoor leadership experience and sunfish experience. ASA 101-103 Instructor position is part time and operates in the Durango, CO area. Living quarters possible. Summer Camp leader positions are full time. Please email your resume, position of interest, and availability to info@peaksandtides.com. Cheers! Update 3/25/19: POSITION CLOSED Looking for a highly rated and reputable ASA Instructor to conduct a private live-aboard ASA class from Key West to Cuba and back roughly starting May 25, 2019 and concluding June 1, 2019. Coursework would take place on a 2017 Jeanneau 479 with 3 cabins/2 heads. Likely 2 students total. Please contact me at scott@bluesailcharter.com for more details. Looking for a part-time ASA instructor to add to our team! Ideal candidate will have their ASA 201 credentials as well as their USCG license. Ability to teach 1-2 weekends a month and a couple of times during weekdays throughout the month. ASA 101 locations are Seattle, Tacoma and Des Moines, primary need is Tacoma and Des Moines at this time. Please email us your resume if interested!